While its neighbour, Nainital finds all the bling, Mukteshwar remains under soft covers, visited less frequently by tourists. 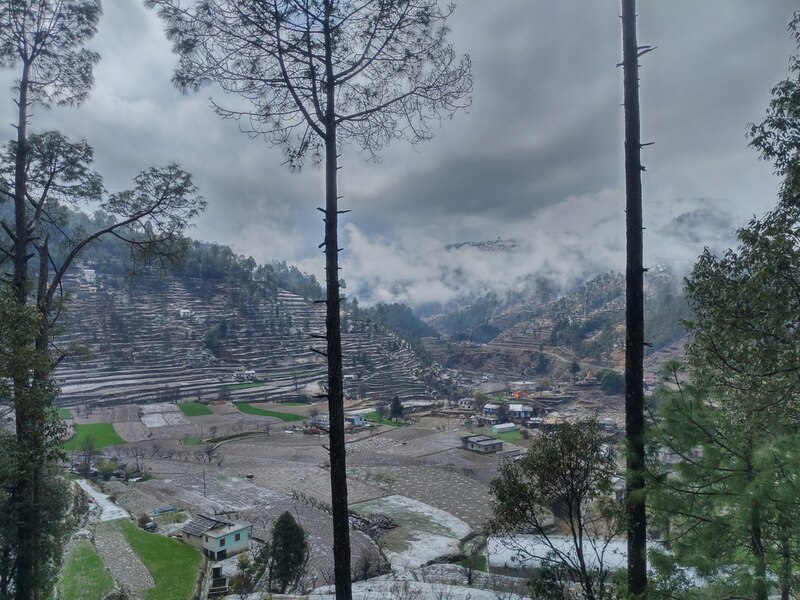 In this travel blog on Mukteshwar, you’ll know the place as people know it, and as someone who’s willing to explore it beyond the boundaries. Rested between 22 snow-clad Himalayan mountains of Uttarakhand is the scarcely explored town of Mukteshwar. Between these mountains are many hills, covered in a blanket of green. And the cherry on the cake is the 4 pristine lakes of Kumaon Hills, which lie in close vicinity of the town. If you’re already in awe of this hill town, let me tell you more. Mukteshwar is always alive with the chirping of the many unique birds that reside here. Along with these birds, you will also find tigers, bears, and if you’re very lucky, leopards in the wild areas. 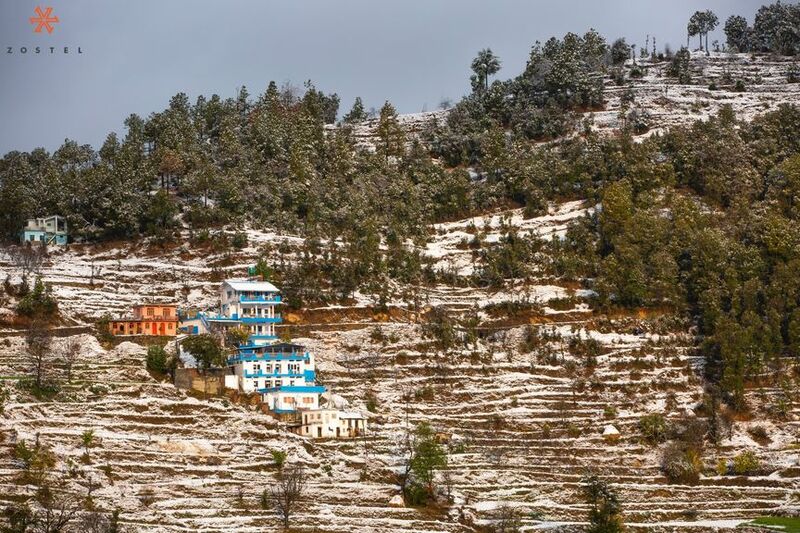 As Mukteshwar is situated high in the Kumaon Hills, the weather here is always pleasant. 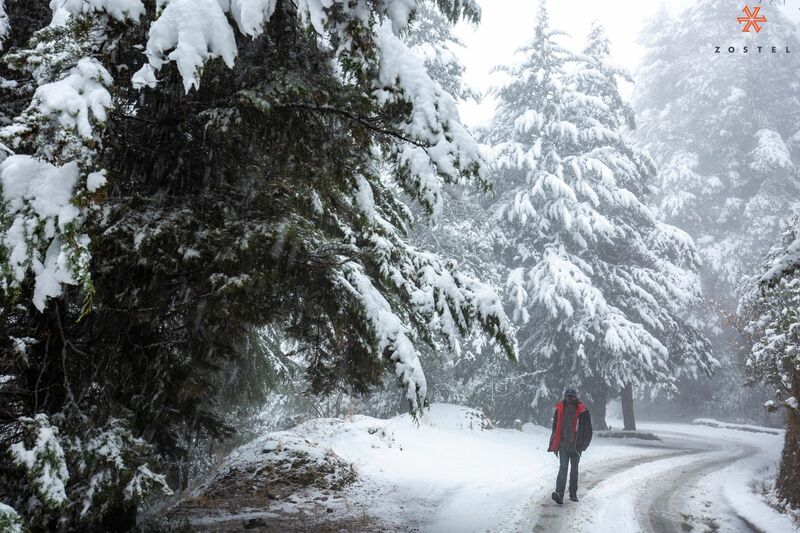 The town saw first of its heavy snowfall in a long time this year, in February 2019. If you’re going there in the summers, you still will want to keep a couple of sweatshirts in your backpack. The rains are generous here, adding even more beauty to the greenery all around. In winters, the temperature falls to zero, so you can brace for snowy evenings and a cuppa hot chocolate! At a height of over 2200 m, the town of Mukteshwar falls in the Himalayan Range of the Kumaon Hills. To get here is relatively easy and cheap if you choose the right combination of transports. - Take a private bus from Delhi to Kathgodam, it’ll take 6 to 7 hours and cost approximately 650 INR. From Kathgodam, you can take a state-run bus to Mukteshwar, which will take another 1.5 hours @110 INR. - Alternately, you can take a train to Kathgodam, which can be as cheap as 110 INR. Follow it up with a bus ride as mentioned above. 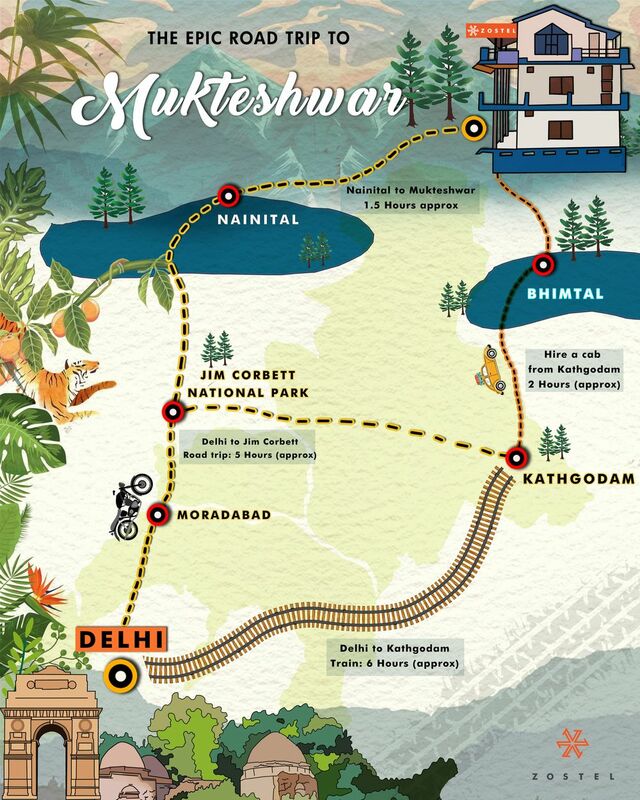 Although local transport options are cheap and enticing, I would recommend that you take a road trip to Mukteshwar. You can customize the road trip as per your preference. You could cover all the 4 lakes on your way and back. Or you could visit the Jim Corbett National Park on your way to Mukteshwar. 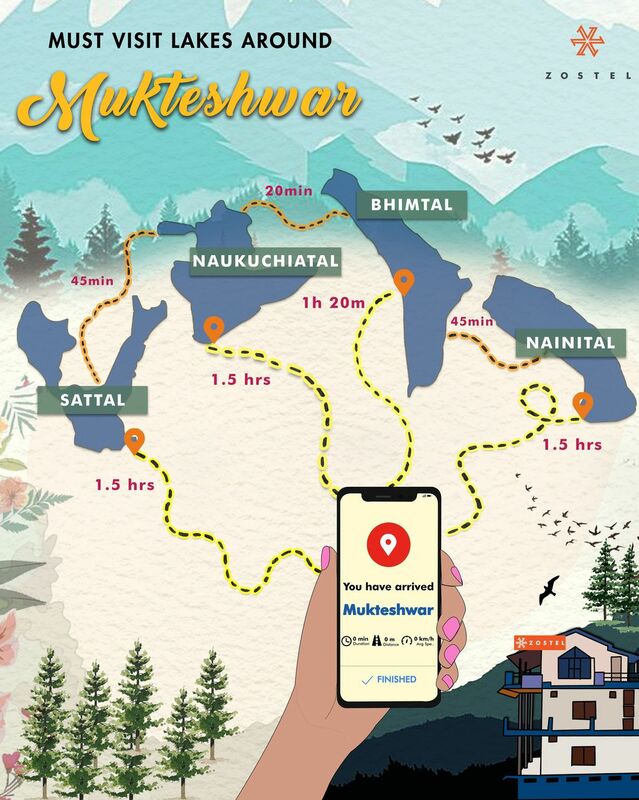 Sharing a quick map on the various available routes for taking a road trip to Mukteshwar. - Lake 2: Take a detour of 6 km to Naukuchiatal, the nine-cornered lake with stunning views. - Lake 3: From Bhimtal, head 12.5 km to Sattal, a cluster of 7 beautiful lakes. - Come back midway to the Mehragaon market, where you can stop for lunch. - Drive the final 40 km to reach the coolest abode in the Kumaon Hills, Zostel Mukteshwar! 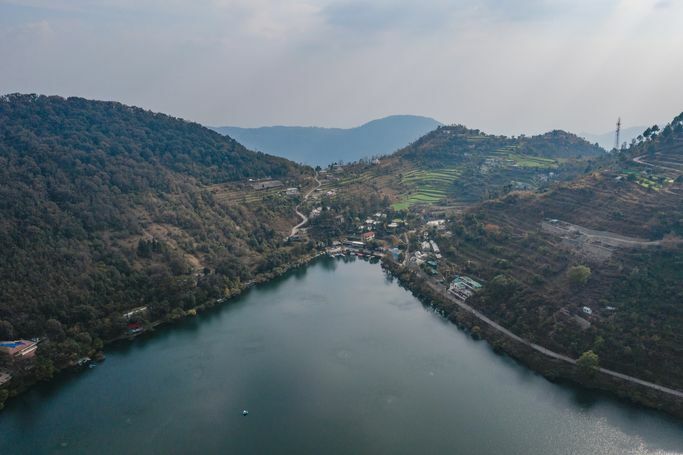 - Lake 4: On your way back, leave early in the morning if you’re up for a day trip to Nainital, which is just 1.5 hrs away. If you would like to rent a vehicle in Mukteshwar, you can do so from the nearby towns. Sharing the distance of Mukteshwar from these towns for your reference. Found what you were looking for? Book your getaway to Mukteshwar here! 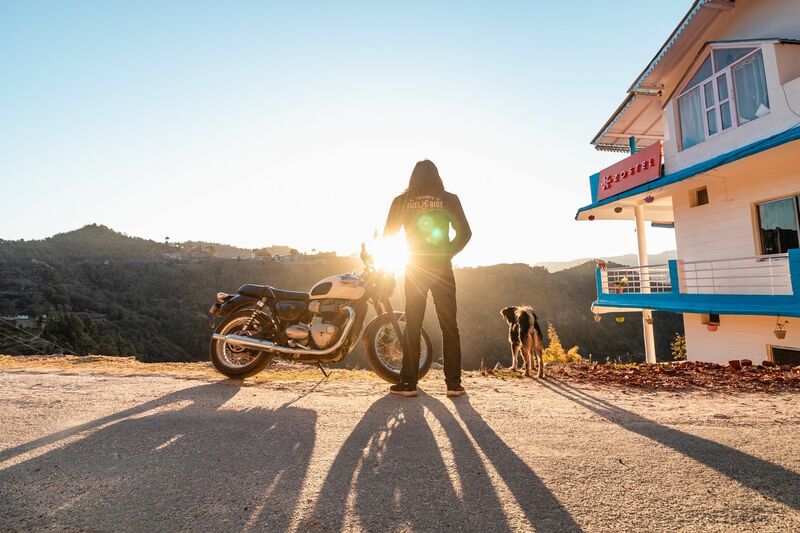 Riders, it’s finally time to plan that epic motorcycle trip to the Kumaon Hills. Backpackers, we’ve found you the coolest place to chill and hike up the hills. Adventurers, how about rappelling from the highest spot in #India? Wanderers, the 4 pristine Himalayan lakes of Uttarakhand await you. Yes, there's something special for everyone here. So, let's move on to how to make the most of Mukteshwar! The Kumaon Hills are famous for its 4 freshwater lakes, each of them offering a unique experience. Fun fact- ‘Tal’ literally translates to ‘Lake’ in Sanskrit, and hence the names. The interesting part is that these lakes are a short drive from Muktshwar, and well-connected to each other. To know how to get to these lakes, refer to this map. Watch the sunrise at the largest lake of Uttarakhand. You can also take a boat to the small temple on the tiny central island. 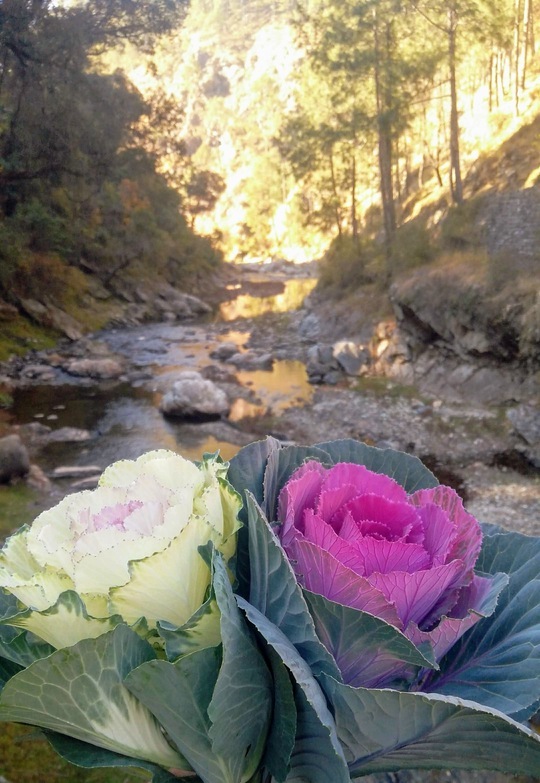 On your way, explore the rustic Bhimtal village, which is even older than Nainital. Naukuchiatal gets its name from its unique shape. This nine-cornered lake is also the deepest lake of Uttarakhand, with its waters reaching a whopping 175 ft down under. Sharing a drone shot of Naukuchiatal, showcasing one of its 9 corners. A happening place in the middle of the hills, it offers adventure activities like parasailing, paragliding, fishing, rowing, paddling, and kayaking along with boating. If you’re planning to go in May, do check out their Escape Festival. The lake of Nainital is just 1.5 hours away from Mukteshwar, so you can plan an eventful day-trip to the town as well. A popular tourist attraction, there are many things to do in Nainital. Explore the quaint cafes, drive up to the Naini Peak, or go hiking at Tiffin Top. If you’re looking for a hustle-free experience, you can enjoy an engaging walk through the Mall Road market. No matter what you choose to do, end your day with a boat ride at sunset in the gorgeous Naini Lake. And once you’ve had enough of the bustling hill-town vibes, you can go back to the quiet milieus of Mukteshwar. A cluster of seven lakes, Sattal sits amidst green hills and a dense forest, making it ever-so-enchanting. Surrounded by Oak and Pine trees, the lake is usually breezy with a pleasant atmosphere and often gives glimpses of rare birds. 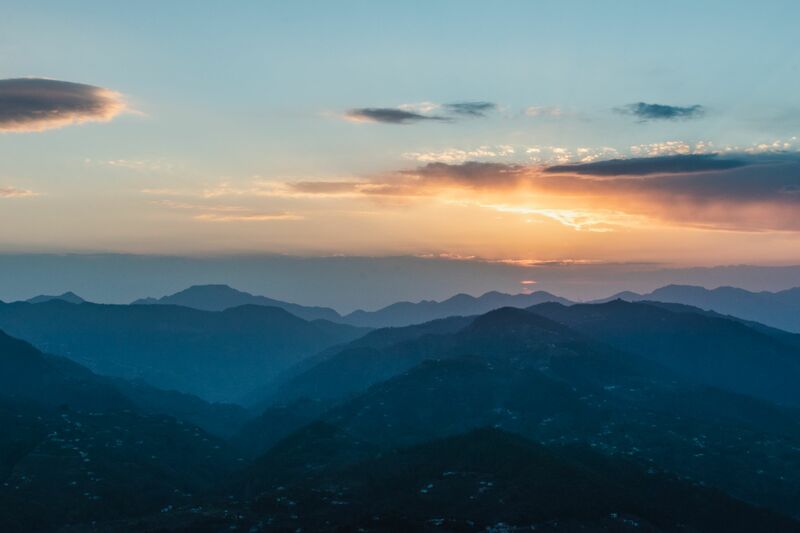 Whether you’re backpacking through India or coming here for a weekend getaway, rest assured that Mukteshwar has enough to fill your plate up to the brim. Now that I’ve already introduced you to its natural beauty, let’s move to how man has made it more fun. If you want a glimpse of the activities to do in Mukteshwar, watch our video here. 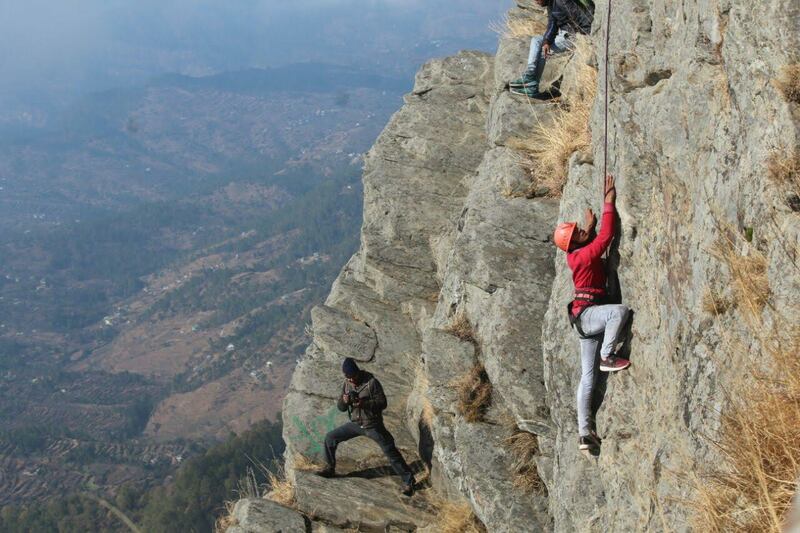 Did you know, Mukteshwar has India’s highest Rappelling point at 150 metres? Professional and amateur Rappelers enjoy the thrill of going down the tallest point while enjoying a valley view. The best season to enjoy Rappelling starts from April till it starts snowing. You can contact the property manager at Zostel Mukteshwar to arrange the same. As you glide down towards the hills, you’ll spot the Naukuchiatal and Bhimtal from up above. 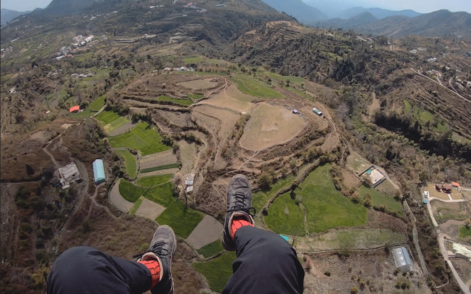 How is that for a surreal paragliding experience? Head to Naukuchiatal for the best paragliding in Uttarakhand. The rates are approximately 1500 INR. You can contact the property manager at Zostel Mukteshwar to arrange the same. Along with rappelling, Mukteshwar is also popular for mountaineering in Uttarakhand like rock climbing and sport-climbing. You can also enjoy a ziplining adventure over the lush green valley. Quick Note: You can contact Zostel Mukteshwar upon booking or upon check-in for more information on these activities. The Sitla Jungle hike is a good activity to spot wild animals in the jungle. Due to the same reason, the hike is only open between 6 am and 6 pm. It takes 1.5 hours to reach the viewpoint, so you can plan a half-day hike around it. 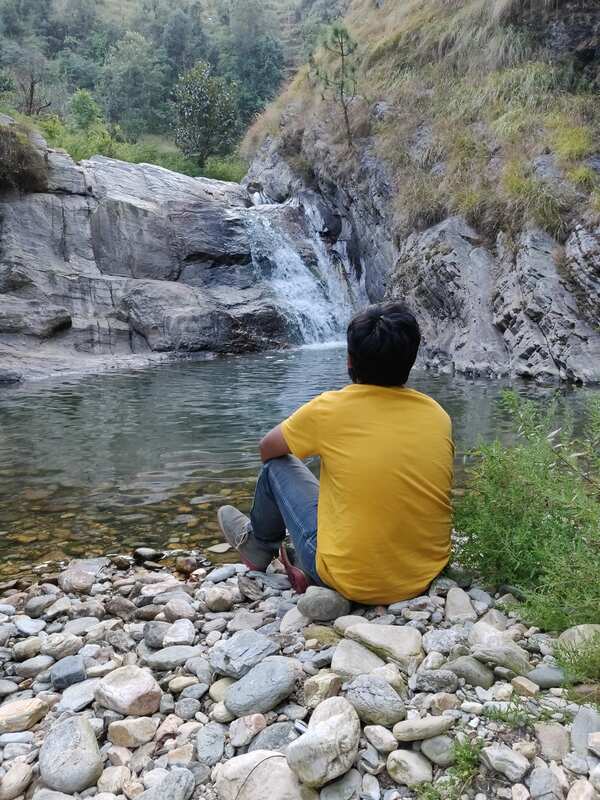 Hike to the Bhalugarh Waterfall, which is located at 6km from Zostel Mukteshwar. As the waterfall is surrounded by a dense forest, it makes for one dreamy place to visit in Mukteshwar. 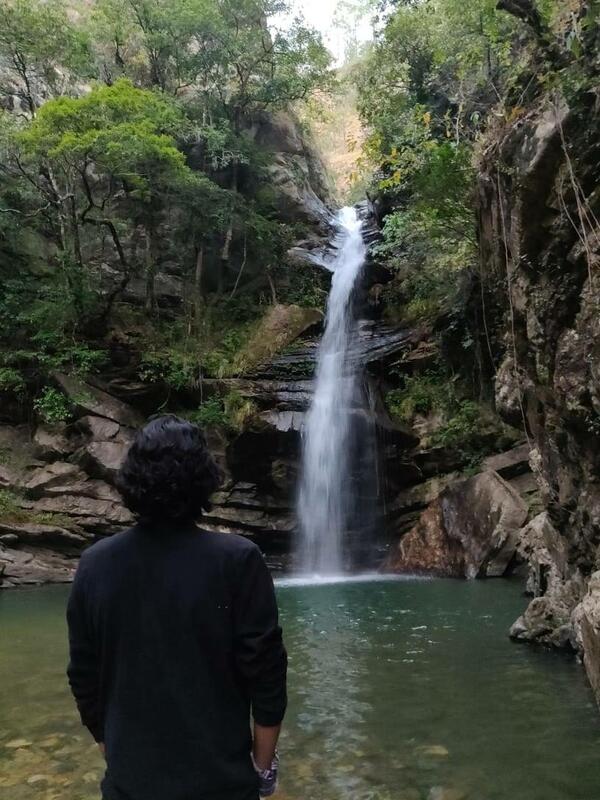 After taking a ticket (INR 10) at the entrance gate, you'll be hiking up to the waterfall. The hike is usually of 30-40 minutes and takes you through the dense clusters of trees amongst the hills. There's also a secret spot on the way to the main falls. As you're hiking up to the fall, you'll see a tree resting over the stream on your right. Cross this spot and walk for a few metres, and ola, you'll have arrived! The most popular sunset point of Mukteshwar, Chauli Ki Jaali stands true to its impression. It is a cliff looking out at a vast expanse of layered hills and the town in between them. If you’re a sport, you can try standing at its very peak, but make sure your legs don’t shake as you do so! A 20 km trek from the Peora village to Mukteshwar usually takes a day or two. On this trek, you’ll come across the thick jungle of Deodars. You’ll climb hills and descend, all the while enjoying the mighty mountains in the backdrop. There’s also a riverside trek called the Raata Quedel trek, which expands to three days. You’ll find yourself camping by the riverside, gazing at the stars, and coming across small towns on your way. Want to try something even more adventurous? Opt for night trekking, which is also possible in some regions around Mukteshwar. Since Mukteshwar sits high in the hills away from the city, it sees no light pollution in the night. This makes stargazing in Mukteshwar a delight. So, if you're a look-at-the-moon person, you might want to sit on our terrace on a pleasant night, counting the shooting stars as they emerge. Found the perfect destination? Book your getaway to Mukteshwar here! Like all the best hill-stations, Mukteshwar has its fair share of cafes teeming with good food and joyful spirits. 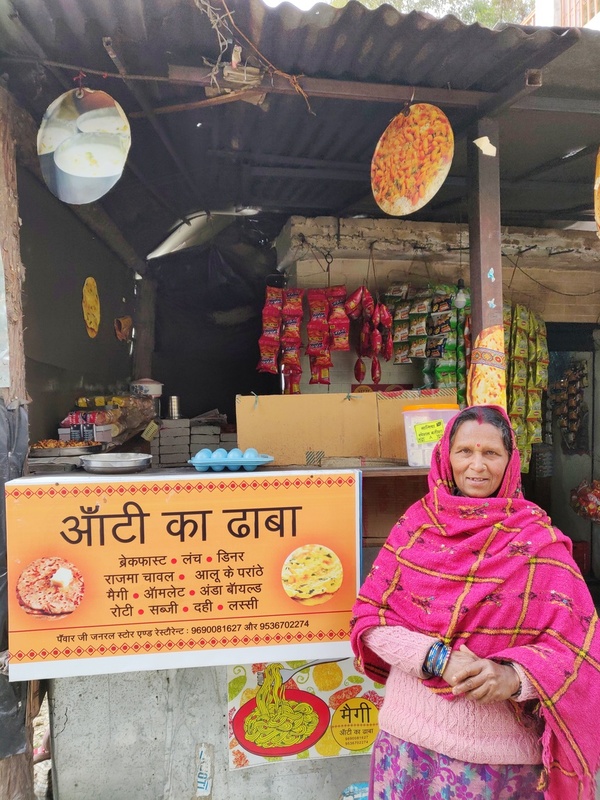 If you’re looking forward to bolting down lip-smacking desi khana, head straight to “Aunty Ka Dhaba”. A jolly lady with exceptional cooking skills, she serves really tasty home-cooked food at a very affordable rate. If you like having exotic food in a lively ambience with good music and a drink or two, you might want to check out The Birdcage Café. Set in a quiet surroundings with greenery all around, the cafe is a cosy place to chill at with a mug of beer and really delish food. 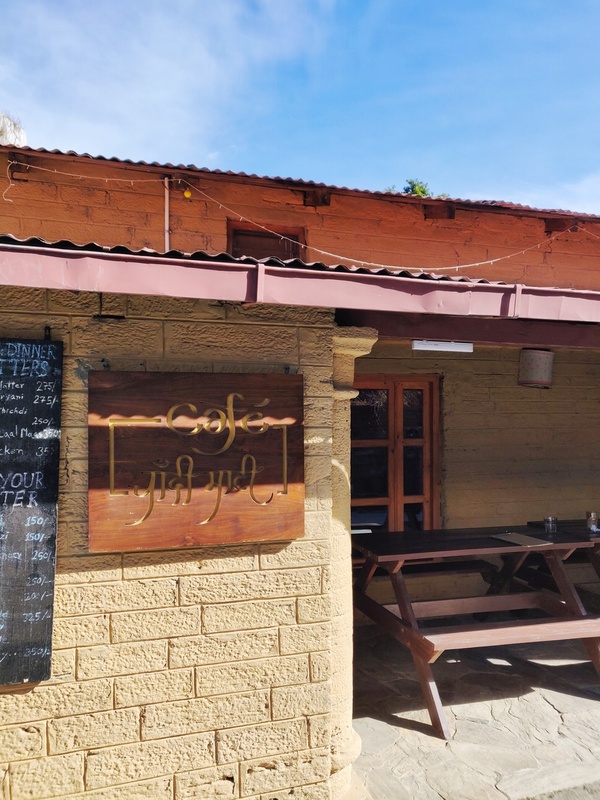 If you want to try some local food, head to Chaandi Maati, a rustic cafe-like restaurant. The Kumaon Region is one of the top places to visit in Uttarakhand. With majestic mountains, the best lakes of Uttarakhand, and a rich landscape of forests, hills, and valleys, the place is truly mesmerising. To add to it all, the region is also rich in flora and fauna, thus making it a nature haven. All of its villages are full of apple, apricot, plum, peach, and walnut trees. Streams flow about, making the air sweet with the smell of mud. You’ll find Deodars, Pines, Sal, and Cypress trees wherever you go. The renowned Jim Corbett National Park also finds a place here. Located at 113km from Mukteshwar, it is a 3.5 hrs drive. Hands down one of the most popular tourist places of Kumaon, people come here to spot Tigers, Elephants and even Leopards! Many riders have shared their tales about riding in the remote Kumaon Hills, and you could be the next one! Ride through the most offbeat villages of Kumaon with the Himalayas in the backdrop. We did our road trip on Triumph Bonneville T100. The beast zoomed around the rocky roads of the Himalayan mountains like it was no big deal! The thrill was exceptional, and the comfort of riding, beyond words. You can plan a weeklong biking trip to the Kumaon Region, covering a majority of its attractions including Mukteshwar, the Jim Corbett National Park, Nainital, and the lush forests around. Sitting amongst hills covered in greenery, Zostel Mukteshwar is your escape to the Himalayas in the literal sense. 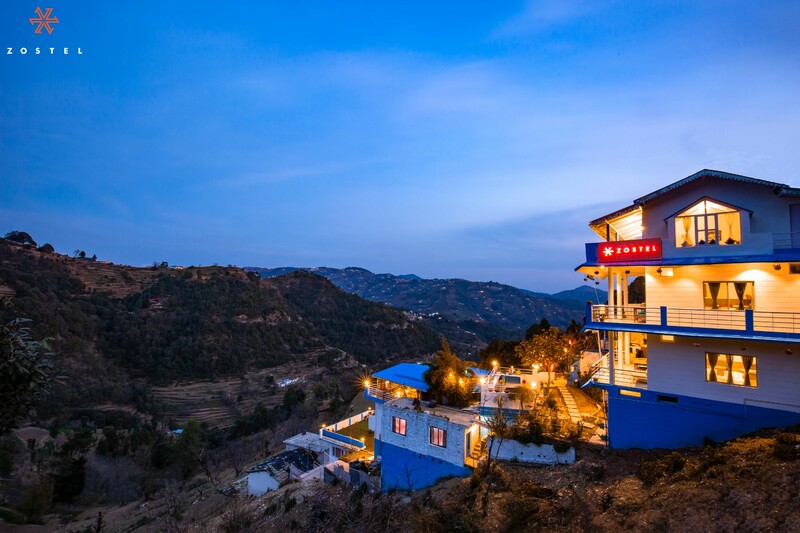 Pairing beautiful views with a serene charm, this backpacking hostel in Mukteshwar brings you a complete package of indoor and outdoor games, feel-good vibes, natural surroundings, open terraces to chill at, and the most comfortable beds to sleep on. 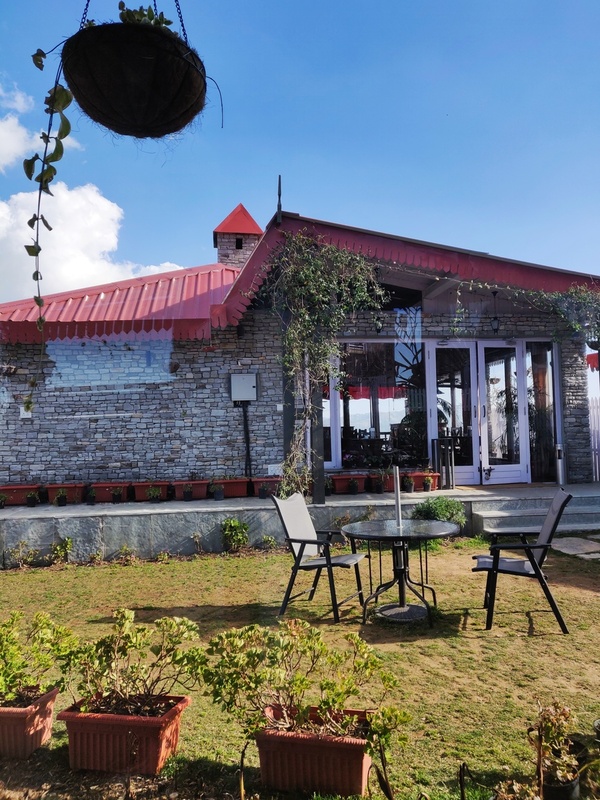 Here’s how you can make the most of your time at Zostel Mukteshwar, the best backpacking hostel in the Kumaon Hills of Uttarakhand. Make the most of Mukteshwar hills! You can also walk to the nearby farms, greenhouses, and nurseries which grow seasonal flowers, fruits, nuts, and vegetables. Dreaming already? Book your getaway to Mukteshwar here! Mukteshwar can be enjoyed best if you have a vehicle at your disposal. If you live in nearby states, you can opt for a road-trip to the Himalayas, covering Mukteshwar, Kumaon, and the 4 lakes. Alternately, you can easily rent a two-wheeler in nearby towns like Haldwani, Nainital, and Kathgodam. Zostel is Asia’s largest chain of backpacking hostels, with 35 homes across India and Nepal & counting. 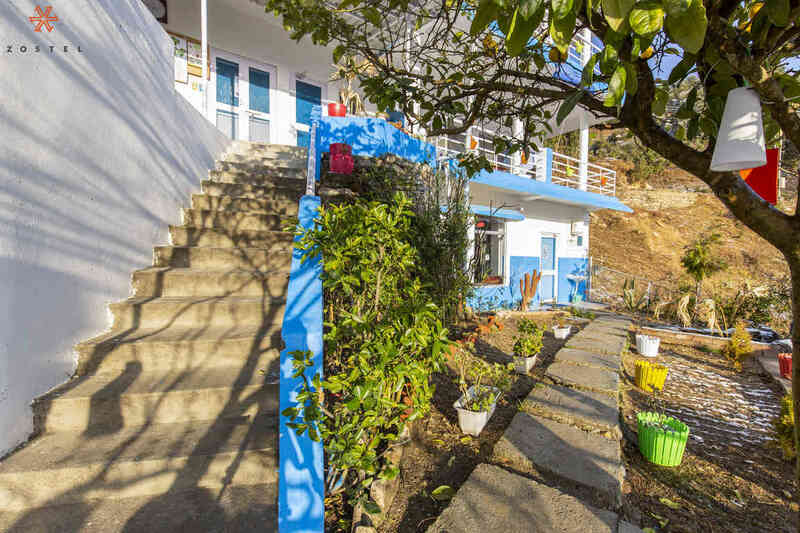 Recognised as the best backpacking hostel in India, we provide backpackers and travellers with budget accommodation and unforgettable travel experience. Why compromise on your stay experience when you can meet amazing people, play games, hang out in the liveliest of spaces, and indulge in the most entertaining activities with us? Found the blog useful? Leave a comment saying Hi. Better yet, share it amongst your friends to plan the coolest road trip to the Kumaon Hills! And to join the coolest backpacker tribe, follow us on Instagram!